COVER OF THE MONTH: JIM LEE - JUSTICE LEAGUE #4 G.L., Bats and Superman better be unwrapping band-aids Christmas day if this Lee drawn hottie is anything to go by. 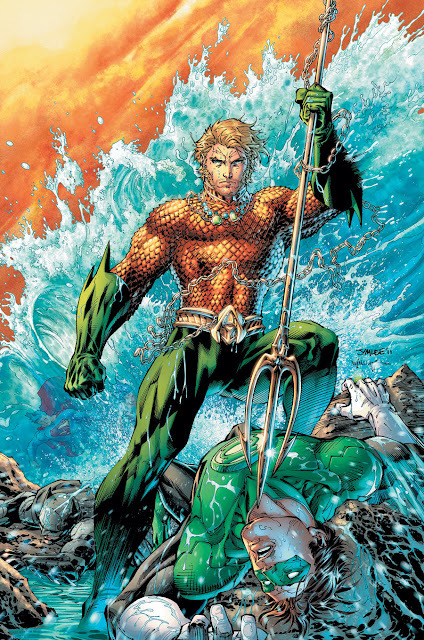 As if Jim drawing Aquaman needed anymore of an upsell, it just goes to show Kryptonian armour is simply no match for the King of The Seven Seas on a mission. 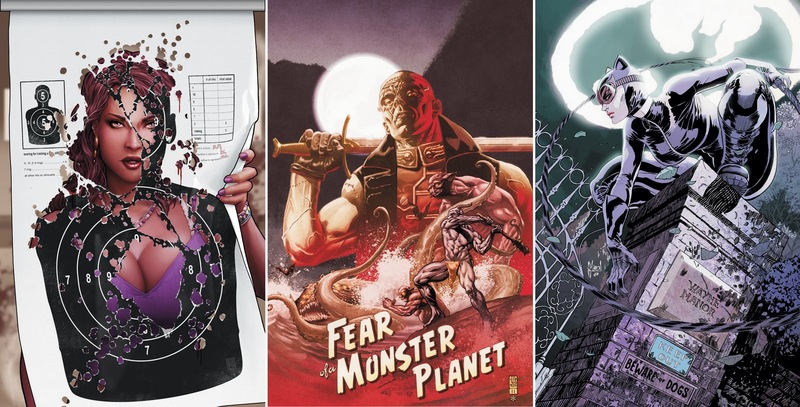 CLOSE CONTENDERS: John Tyler Christopher - Voodoo #4, J.G Jones - Frankenstein: Agent of S.H.A.D.E. #4, and Guillem March - Catwoman #4. For the full DC December run down, click the jump. Oh! December is going to be great! What a Christmas Present! Capatin Boomerang will be back at Suicide Squad! Also I have to pick justice league Dark. Sounds very interesting to me. I thought of you when I saw the SS cover Aliera! I'm actually quite impressed with all the DC 52 books I've picked up so far. I'm staying away from the characters who are in multiple books more and looking at the one title wonders. When I get a bit more time I hope to type out my thoughts on them. Will be interested to see what you think! I'm still choosing from the new universe and your coments are great in helping me do it. I'm not picking Aquaman right now, as the character didn't appeal to me in Brightest Day, but I'll keep reading reviews online. On the other side, I wasn't a Superman fan (but still a Luthor's interested), and now I picked Action Comics #1 and really liked it. A not all powerful Superman, and also not too perfect, seems like good reading to me. I was expecting more from Batgirl, but maybe it will pick up on the next issues.